Disclosure: This post has been sponsored by Pfizer Consumer Healthcare and 20th Century Fox. All thoughts and reviews are my own. Flu season has been rough for my family. It hit early and man, did it hit hard. 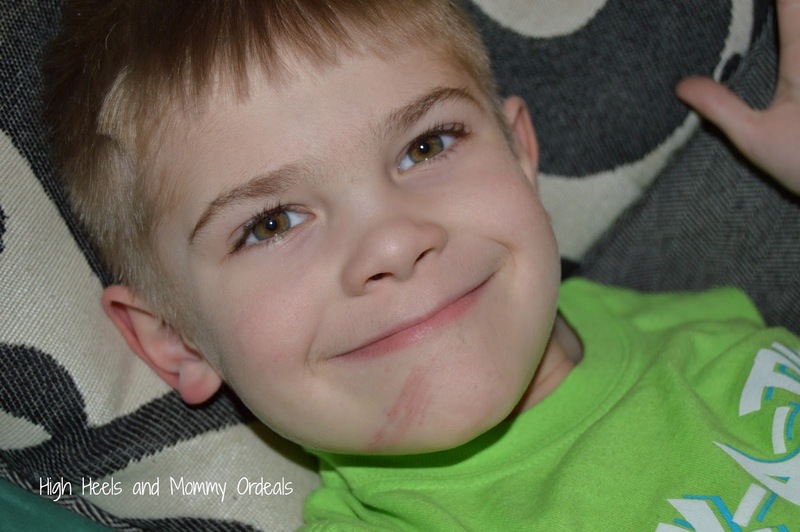 While the girls have taken the brunt of it all, Cohen seemed to skate on by...until recently. Last week he woke up grumpy and whiny. While this isn't too uncommon, it just seemed out of the normal grumpy and whiny. (Believe me, that is possible.) By the time I picked him up from school his cheeks were red and he was complaining of a headache. I could tell just by looking at him that he didn't feel well and he immediately fell asleep as soon as we got home from school. Luckily it was a Friday afternoon so I knew we'd have the entire weekend to recover - and boy did we need it! As soon as Kurtis got home, I headed to Target (because let's be honest, where else would I go) to stock up on the essentials. I needed to get this kid some relief and get it fast! Now that Cohen is six, I can offer him different medicines that are targeted to specifically ease his cold symptoms. 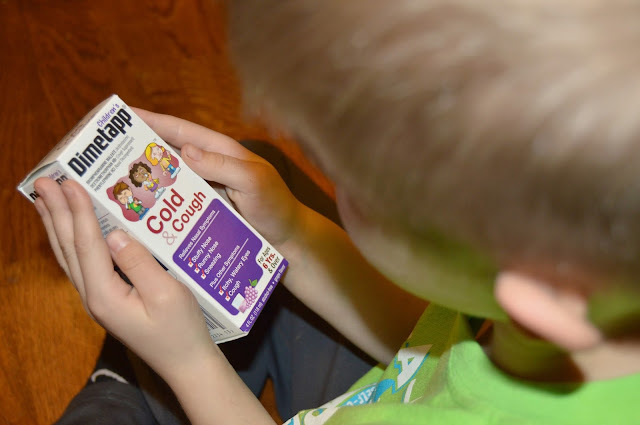 Immediately I grabbed Children’s Dimetapp® Cold & Cough to tackle his stuffy and runny nose and relieve his cough. This stuff brings me back to my childhood when my mom would offer my sister and I both Children’s Dimetapp® when we were sick. The grape flavor was always a favorite of mine so I knew Cohen wouldn't mind it either. Plus Target has a Cartwheel coupon for it too and I can't resist a good Cartwheel deal! I also noticed Children's Robitussin® DM Day/Night Pack (Children’s Robitussin® Cough & Chest Congestion and Children’s Robitussin® Nighttime Cough for ages 6+) had a great Cartwheel coupon too. This non-drowsy daytime formula helps break up chest congestion, while the long-acting nighttime formula relieves coughs and runny noses to help kids get the rest they need. If you need to stock up on Children's Advil® (ages 2-11) to ease those aches, pains and fevers, the Cartwheel coupon is going on for this medicine too! If you don't Cartwheel, now is your time to download the app and start saving - it won't disappoint. Considering he didn't feel well, I decided to grab a movie to make it a night of cuddles together because we all know there's something magical about Mama's snuggles when you don't feel well. With baseball season just around the corner, I knew he'd be excited about The Sandlot. This movie is an all-time favorite classic. One of my favorite movie quotes is, "You're killing me, Smalls!" Plus you got to love the story line. You know, Scotty Smalls, the shy new kid on the block who wants to join the rowdy pickup baseball team that plays every day in the neighborhood sandlot. And the summer passes blissfully as Scotty learns to play ball under the wing of Benny Rodriguez, Ham, Squints, Repeat and the rest of the kid-eccentrics. But then Benny literally knocks the stuffing out of the team's only baseball, a sign of impending doom, or worse, bad luck. So Scotty wants to set things right and returns home and "borrows" his stepfather's ball. But of course he promptly hits his first home run, knocking the ball clear out of the sandlot into mean old Mr. Mertle's junkyard, home to Mertle's legendary guard dog The Beast. 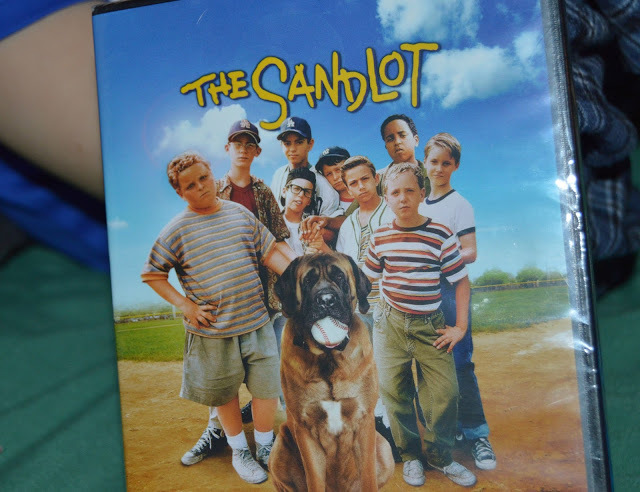 If you haven't seen Sandlot in your lifetime, you are totally missing out. 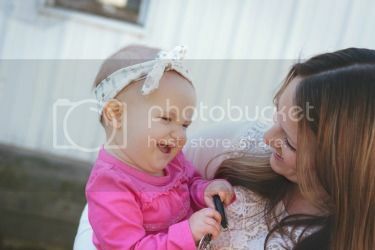 After a low-key weekend with lots of naps, snuggles, movies and Children’s Dimetapp® Cold & Cough, Cohen was finally feeling better by Sunday afternoon. Just one more reason to despise the winter - FLU SEASON. I'm dying for some warm weather so I can open up my windows and air this house out! 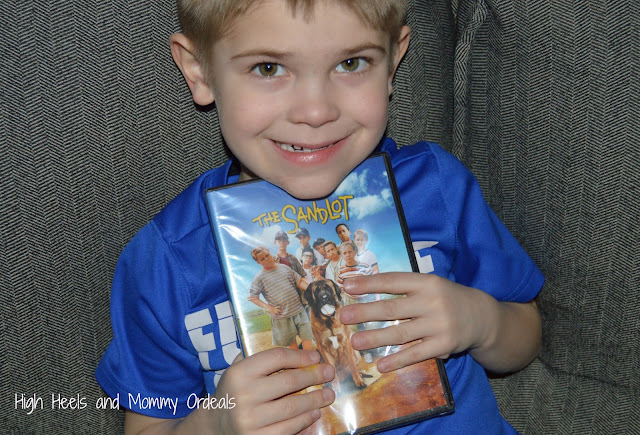 Ready to attack your kiddo's cold and cough head on? 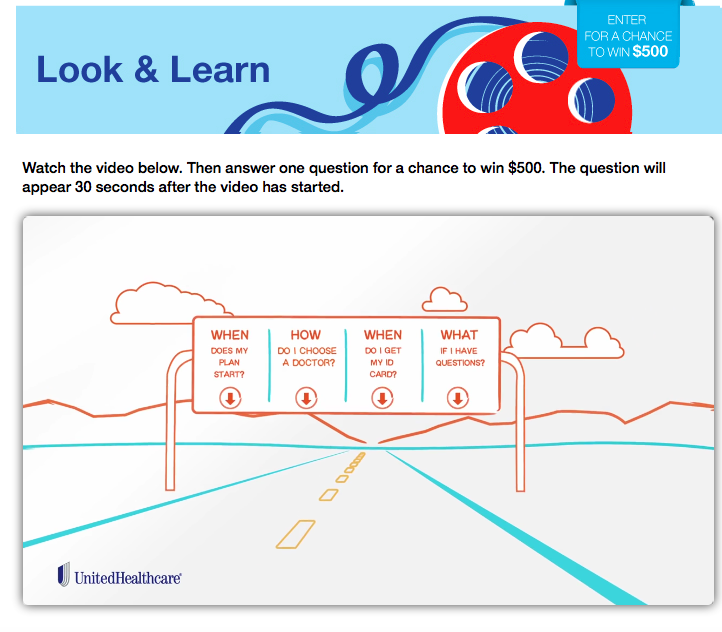 Enter to win a $25 Target gift card, Pfizer Pediatric products and a 20th Century Fox video on the Rafflecopter below! 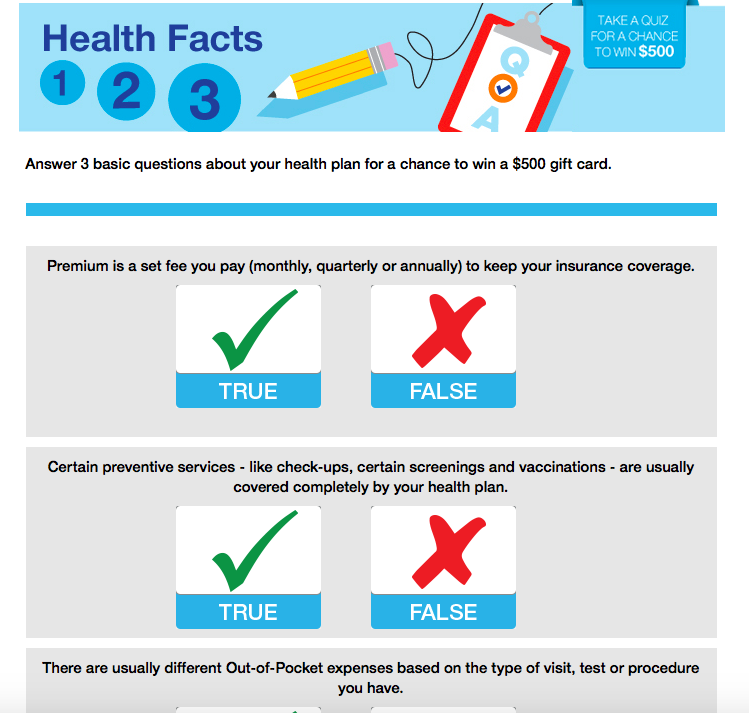 Disclosure: This post has been sponsored by Pfizer Consumer Healthcare. I've never been a cold weather person, which is ironic considering I live in the Midwest. I loathe all things about winter include the freezing temperatures, trying to get my kids in and out of their cars seats with their coats on to the car but off the second we get into the car seat because you know, safety, and most annoyingly, static electricity. But apparently my skin and especially my lips also hate the weather too. However, I have added three steps to my beauty regime to help ease the pain of my winter skin issues! When I haven't been drinking enough water, my body is quick to remind me. My skin will start to feel itchy and tight while my lips get super dry in the corners. Invest in a quality water bottle and set a daily goal to keep yourself accountable for your own H2O game. I try to drink at least 90z of water a day which sounds like a lot but you'd be surprised! My water bottle with a straw has been a game changer for me because I find that I drink way more water when I have a straw than when I don't. 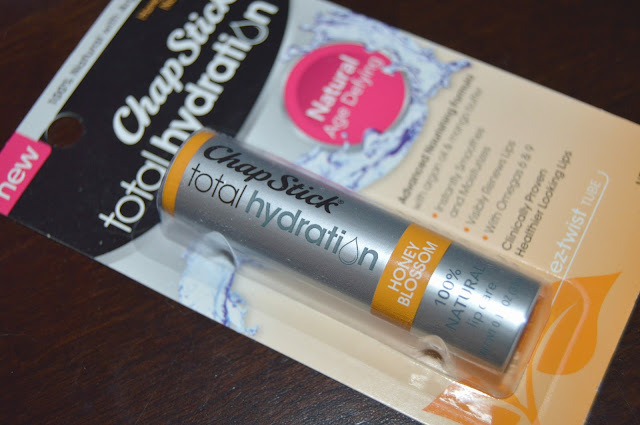 ChapStick® Total Hydration products are also my go-to products when it comes to hydrating my dry lips. Last week when I was in Target, I was sure to stock up on a few of my favorite products to help me survive the rest of this winter. 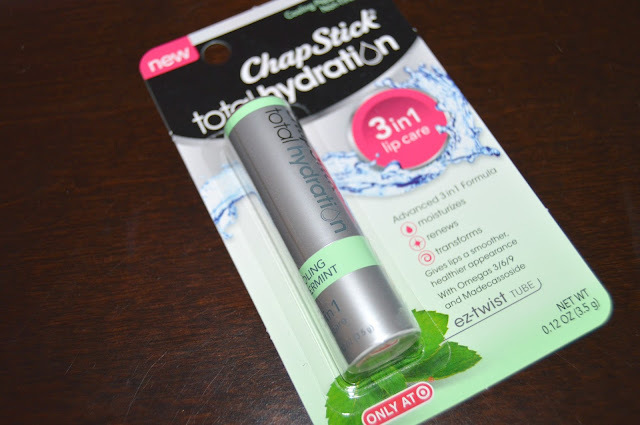 One of my favorites, ChapStick® Total Hydration 3in1, is a Korean-inspired, 3-in-1 formula that provides triple action lip care in one lip balm. It moisturizes, renews and transforms lips to provide smoother, healthier looking lips. The triple action renewal formula contains unique ingredients like Madecassoside and botanical oils. Total Hydration 3in1 is available in five flavors – Coconut Hydration, Soothing Oasis, Sweet Peach, Wild Acai Berry and new Cooling Peppermint. 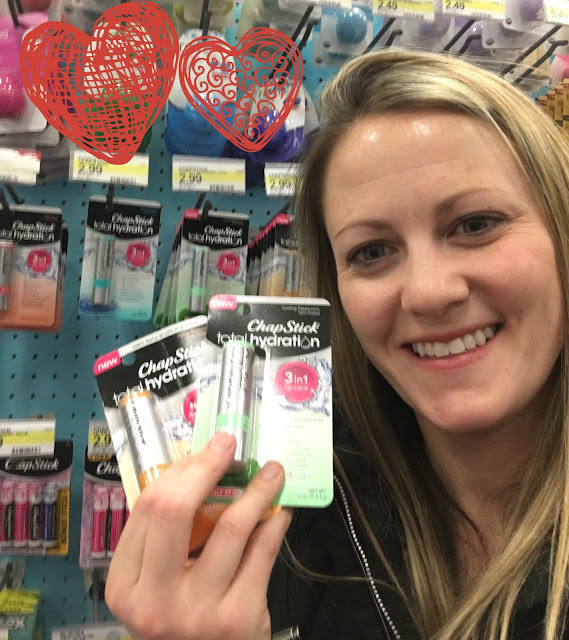 I also love ChapStick® Total Hydration 100% Natural is an age defying formula with 100% naturally sourced ingredients like Argan Oil, Omegas 6 & 9 and Avocado Butters. It is clinically proven to provide healthier looking and more youthful looking lips and I love they way they feel after using this stuff! Total Hydration 100% Natural is available in three flavors – Fresh Citrus, Soothing Vanilla and new Honey Blossom. I have two different face washes - one for the morning and one for night. Besides the dry, winter skin, think of everything that your face, skin and lips comes in contact with on a daily basis. When I think of my day the things that pop into my mind include sweat, school grime, kid sneezes and thousands of germs that have manifested on my phone throughout the age of time. Super disgusting, right? That's why I make sure to scrub it all away before I go to bed. I only exfoliate once a day because I find that if I do it too much, my skin starts to get overly dry which defeats the purpose in the first place. Recently I have started using ChapStick® Total Hydration Conditioning Lip Scrub a few times a week too. This stuff is amazing! 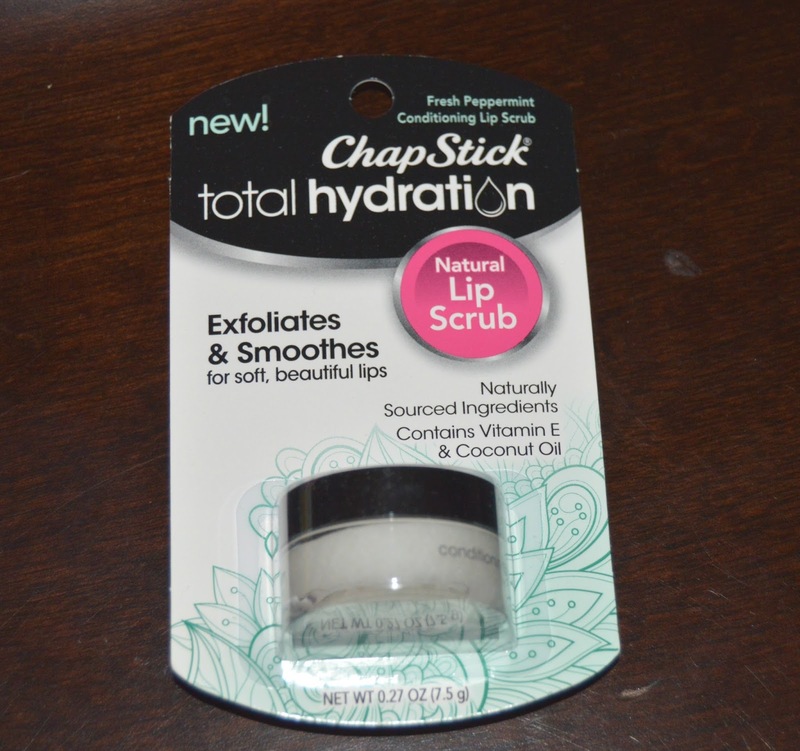 It is a lip scrub that gently exfoliates and conditions leaving your lips feeling silky, soft and smooth. ChapStick® Total Hydration Conditioning Lip Scrub is formulated with naturally sourced ingredients, including Sugar Crystals, Maracuja and Coconut Oil, Shea Butter and Vitamin E and features a refreshing Fresh Peppermint flavor. All you do is massage a small amount onto wet lips in a circular motion then rinse or wipe off with a damp cloth. After exfoliating, seal in moisture by applying a ChapStick® Total Hydration lip balm as a finishing touch. My lips feel so good after I use this lip scrub. 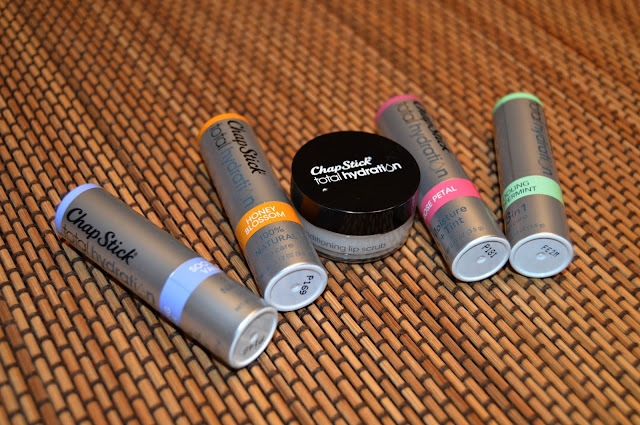 Dry lips and skin are one of my major annoyances of the winter. Some days I'm an itchy mess while the next day my face is more oily. Personally, it's all about finding a balance with your skin type. I have a mixture that I use in the morning with a tinted moisturizer for my daytime look. Then at night I use a different moisturizer that is just light enough so it won't clog my pores but still does the moisturizing trick. Peeling lips also drive me bananas! 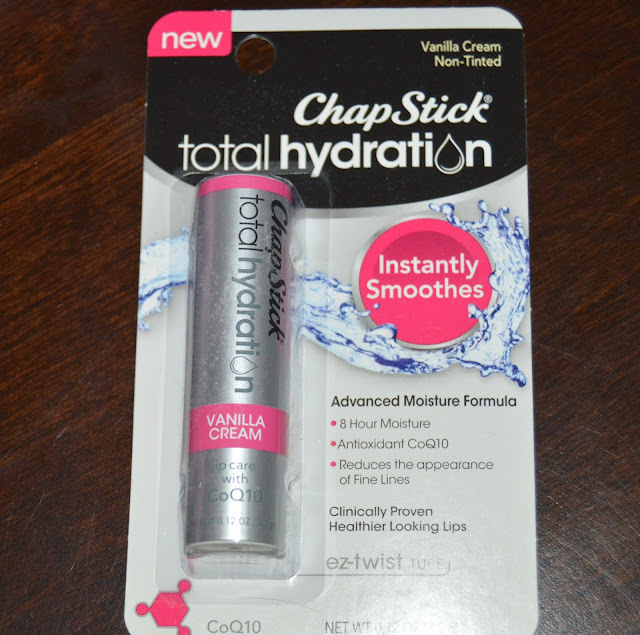 ChapStick® Total Hydration with CoQ10 is a lightweight formula that provides long-lasting moisture, helping lips stay hydrated for a full eight hours, and reduces the appearance of fine lines. The formula is comprised of advanced skincare ingredients including antioxidant CoQ10, Vitamin E, and ultra-hydrating Hyaluronic Spheres for soft, supple lips. Total Hydration with CoQ10 is available in a Vanilla Cream flavor. I love to use this stuff at night before bed because I wake up in the morning with silky, smooth lips to start my day. 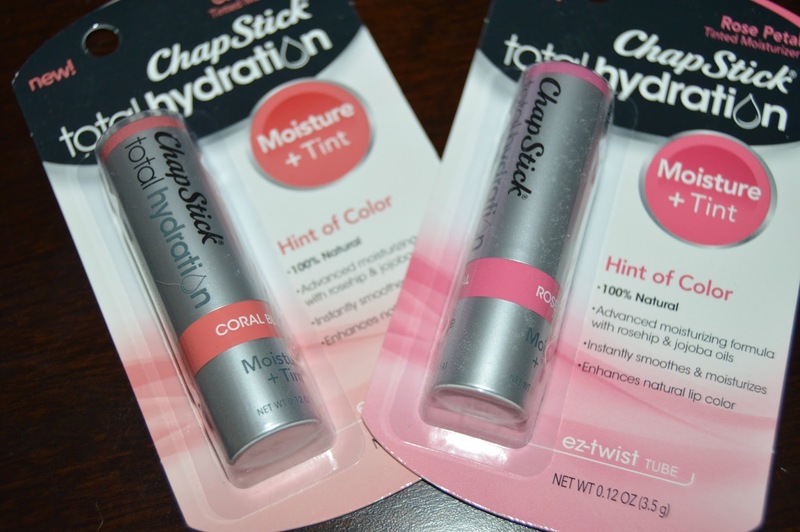 ChapStick® Total Hydration Moisture + Tint. This tinted moisturizer features a formula with 100% naturally sourced ingredients that deliver long lasting moisture, plus a hint of alluring color specifically formulated to enhance the lips’ natural color. The Total Hydration Moisture + Tint formula is comprised of premium ingredients, including Rosehip Oil, Jojoba Oil and Avocado Butter. It is available in three shades – Rose Petal, Coral Blush and Merlot, my favorite – so there’s a shade for every occasion! Apparently Phil saw his shadow today so we still have six more weeks of winter. 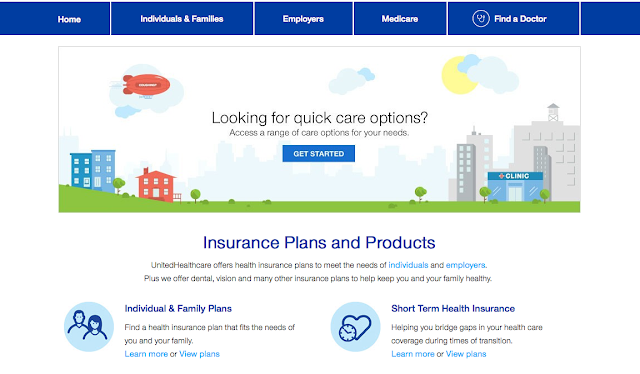 I'm crossing my fingers that these are the six fastest weeks of the year! One (1) lucky winner will win a $25 Target gift card and their own ChapStick® Total Hydration products. 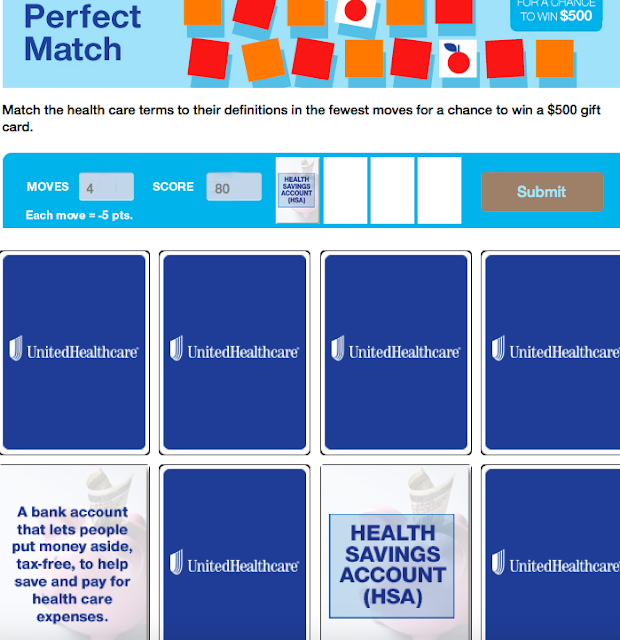 Enter the Rafflecopter below!